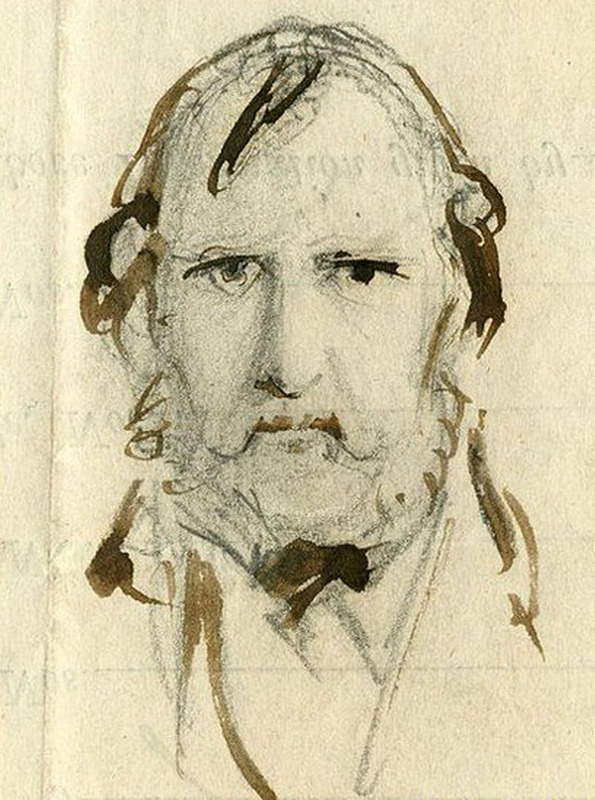 George Cruikshank's career reached its peak when he began illustrating the works of Charles Dickens. 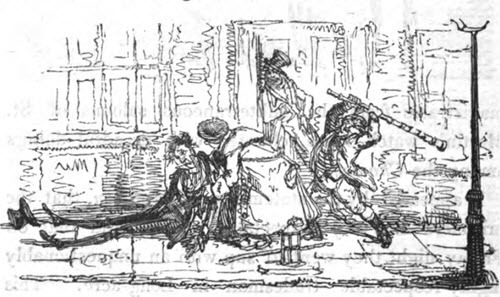 Dickens's great popularity as a novelist meant that Cruikshank's illustrations reached a wider audience than ever before. The relationship between the two men was mutually beneficial and initially led to a warm friendship. 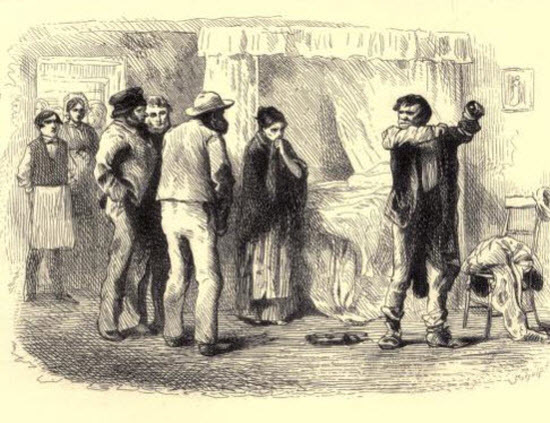 Cruikshank illustrated some of Dicken's most enduring works including Sketches by Boz, Oliver Twist, Great Expectations and Our Mutual Friend. However the friendship between Cruikshank and Dickens came to an abrupt end due to a very public spat over the authorship of Oliver Twist. 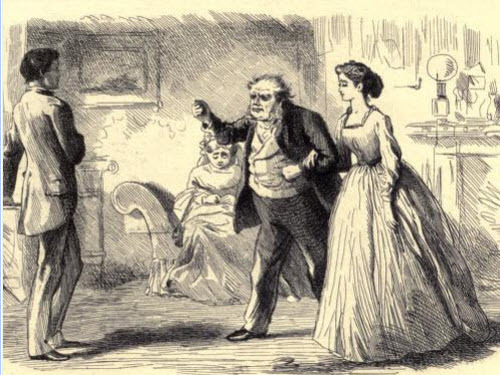 Cruikshank claimed in the press that Dickens had stolen his ideas for the plot of Oliver Twist. 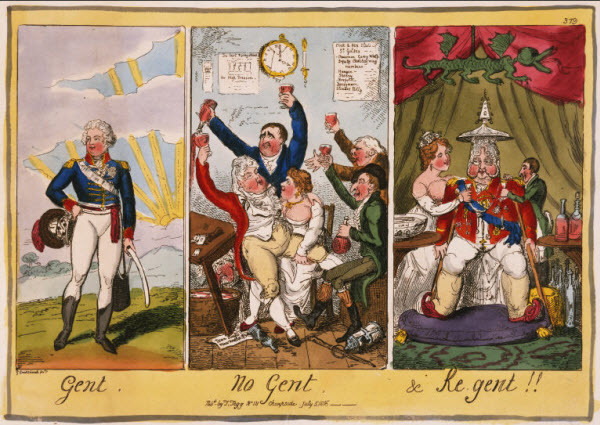 This was not the only time that Cruikshank would make such a claim; he also had a falling out with author William Ainsworth whose works he had illustrated, over the question of authorship. 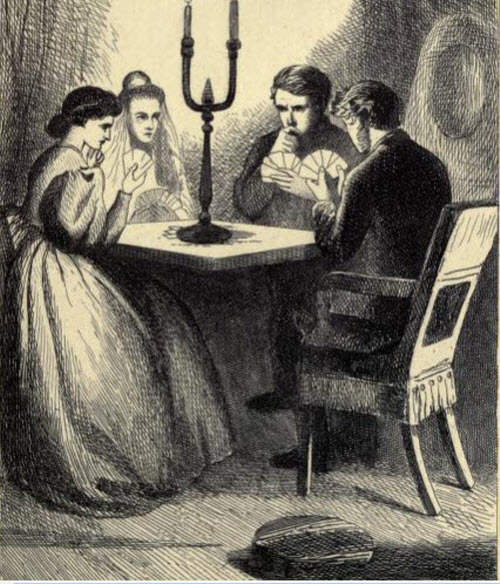 In both cases Cruikshank claimed to have suggested the plot. Both Dickens and Ainsworth denied the accusations, and interestingly Cruikshank never tried to enforce his rights in court, but, perhaps equally telling, neither Dickens nor Ainsworth ever sued for defamation. Whatever the truth, it lead to a permanent rupture in the professional and personal relationship between Cruickshank and Charles Dickens. 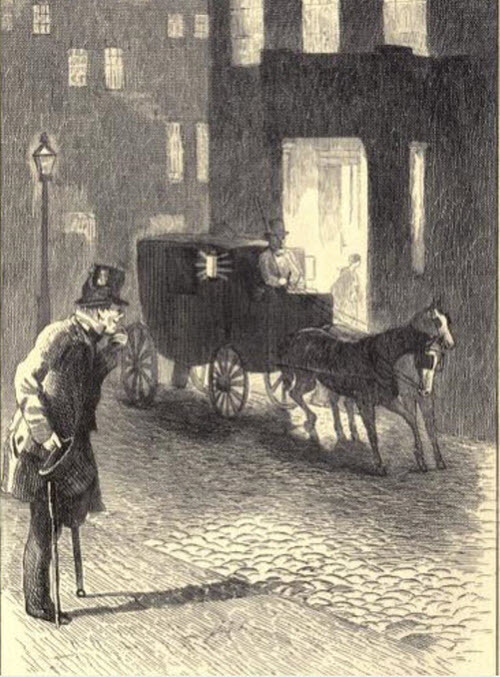 Below are some illustrations from the various Dickens novels illustrated by George Cruikshank. It is interesting to what extent these drawings have influenced our mental image of what the characters look like. 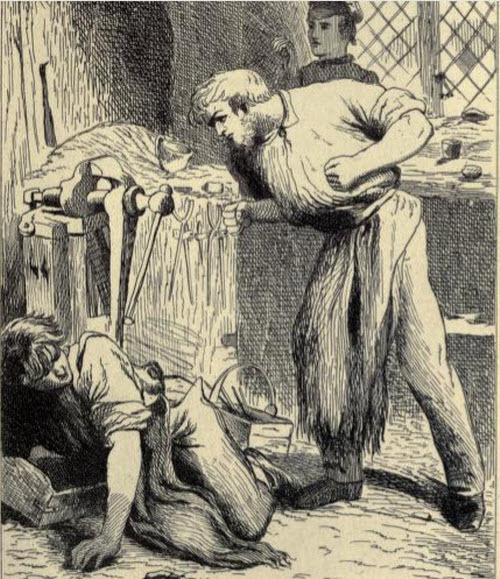 A dispute between Cruikshank and Dickens over the authorship of Oliver Twist led to a permanent beak between the two collaborators. This was the last book by Dickens illustrated by George Cruikshank. 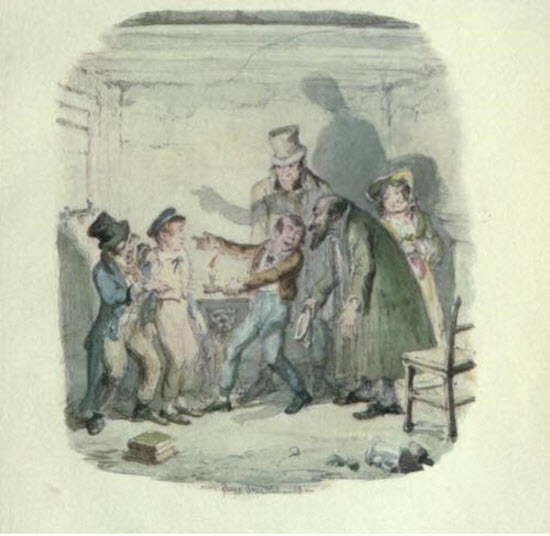 Here is an illustration from Oliver Twist - Oliver is welcomed by Fagin and his gang of thieves. Note the stereotypical way in which Fagin, a Jew, is portrayed. 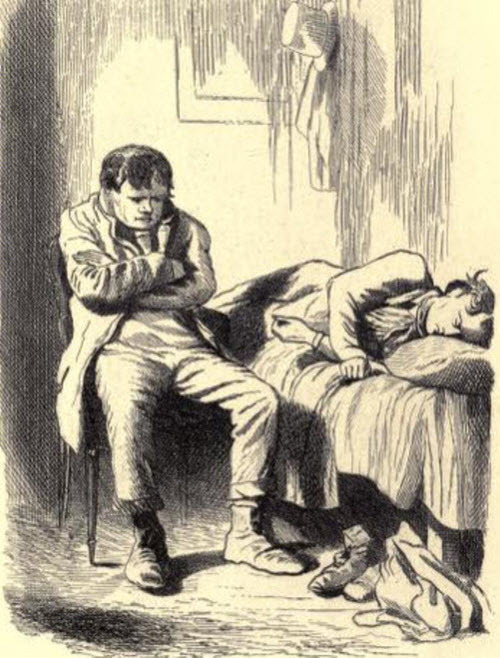 Another illustration from Oliver Twist. Here Fagin is attempting to flee the authroities by climbing over the roofs of London. 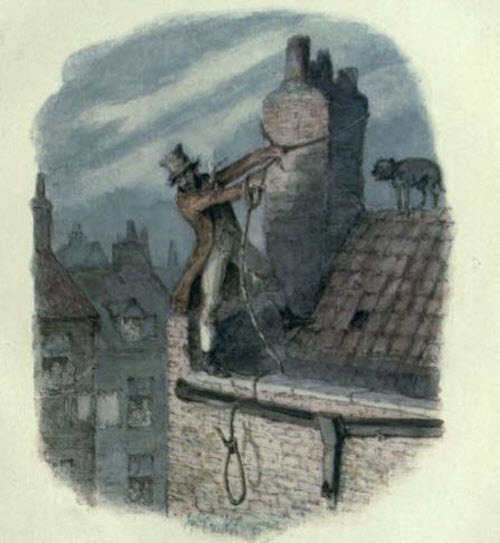 Fagin is caught and condemned to hang. 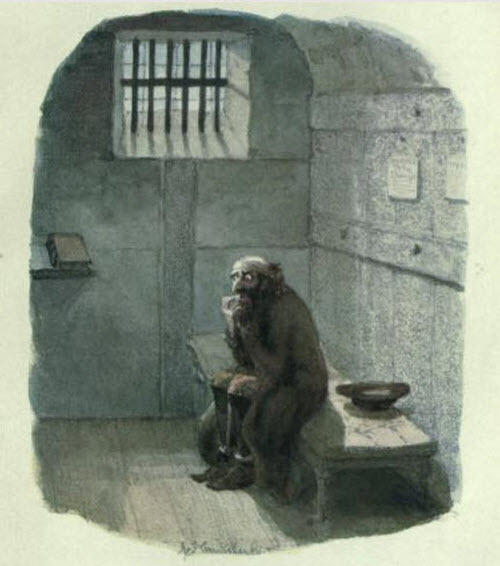 Here Cruikshank portrays the once wiley manipulator as a scared old man trembling with fear as he awais execution. 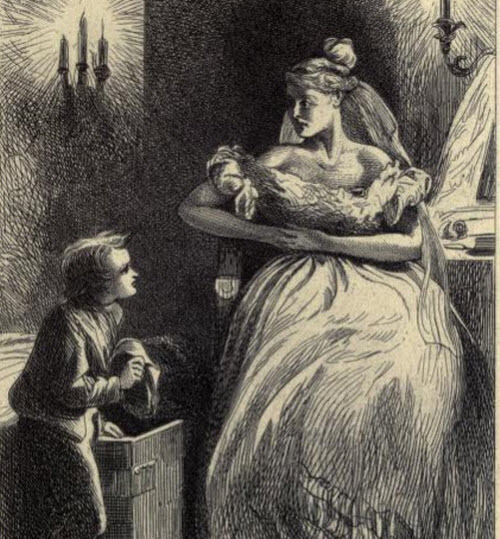 Here are more illustrations by George Cruikshank, taken from Dicken's Great Expectations. 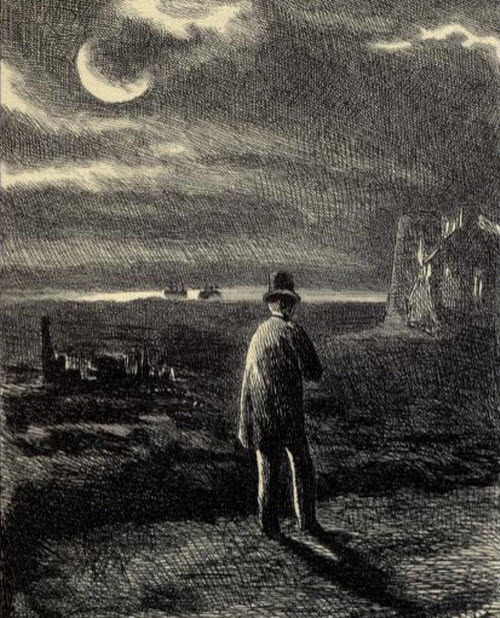 Unlike the vivid watercolour drawings that were used to illustrate Oliver Twist, Cruikshank's drawings for Great Expectations are in black and white and convey a gloomy sadness approriate to the spirit of the book. 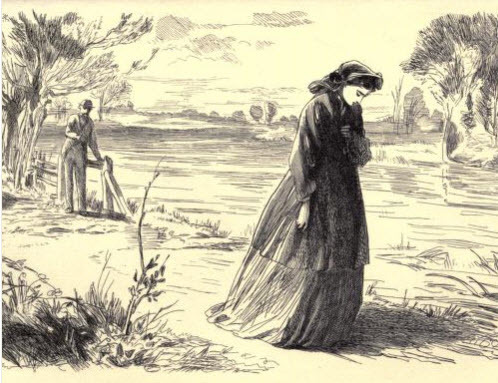 Various illustrations from Our Mutual Friend, written by Charles Dickens and illustrated by Cruikshank.